Advertising technology company, Shiny Ads, announced that it had closed a seed funding round led by the two largest Angel networks in the greater Toronto area - Maple Leaf Angels and York Angels. Also contributing to the seed round were individual investors from the digital media industry. Shiny Ads' self-serve advertising platform has helped mid to large online publishers, like deviantART.com, maximize their advertising revenue by providing a simple, user-friendly interface so that long-tail advertisers can purchase ads on high traffic websites. This was nearly impossible before Shiny Ads due to resource constraints - budget, industry knowledge, graphic design, etc. "The platform that Shiny Ads provides allows us an efficient and customizable way to offer a great product to the large number of small businesses looking to advertise on deviantART," says Ernie Riemer, VP of Advertising for deviantART. Shiny Ads was established in May 2009 and until now, Roy Pereira, its founder and President, privately funded the advertising technology company. "Passion is everything in a start-up environment. If you truly believe in your product and execute like your life depends on it, then success will follow,” says Roy Pereira. The fact that Shiny Ads was already integrated into a large number of online publisher's websites prior to the seed funding round is testament to that passion and the revolutionary technology behind the company. Pereira has been involved in several start-ups, some successful and other not so successful, from the creation of remove access VPN at TimeStep to the award winning Refresh Partners, the first boutique marketing firm to focus on social networks. Roy's experience goes beyond start-ups, working with a number of highly successful public companies such as Cisco Systems, in California, and Certicom, in Toronto. Given this investment, Shiny Ads has grown the team to include industry veterans like Zunaid Khan, VP of Business Development and Sales. Khan's previous roles include Canoe/Sun Media as Director of Product Management and Strategic Alliances and Director of Technology Sales at 24/7 Real Media. Joining the Board of Directors is James Prudhomme, one of Canada's leading Digital Media executives, Scott MacCannell, founding President of York Angels, and Robert Koturbash who is the founding Managing Director of the Maple Leaf Angels. "Shiny Ads is a disruptive technology that allows content publishers to directly interact with their small and local advertisers in an extremely cost effective manner - it allows them to once again own those critical relationships at the same time as generating revenue that was once lost to them," says Koturbash. "York Angels is very pleased to be involved as a partner with Roy Pereira and the great team of professionals that he has assembled at Shiny Ads to address this promising market opportunity. We very much look forward to working with Roy and his team, the Maple Leaf Angels and the other independent Investors that are involved in this exciting venture," said Scott MacCannell. Shiny Ads is a Toronto based advertising technology company focused on helping online publishers maximize revenue from advertisers of all sizes. With Shiny Ads, publishers have control over the entire ad purchasing process by a simple, user-friendly self-serve advertising platform integrated into their backend. It allows small and local (long-tail) advertisers to quickly and easily purchase advertising without the need for industry knowledge, graphic designers, or a large budget. 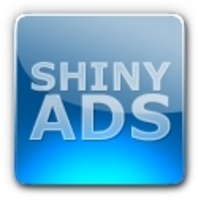 Visit our website at http://www.ShinyAds.com or check out our demo at http://www.vimeo.com/shinyads/intro. The Maple Leaf Angels is a group of private investors who come from a wide variety of backgrounds and careers. With chapters based in Toronto and Mississauga, the group has invested over $7 million into 19 high growth companies. Maple Leaf Angels possesses deep expertise in information, communication and clean technologies. Visit their website at http://www.mapleleafangels.com. York Angels actively provides a supportive linkage between local entrepreneurs, seeking early-stage capital, and investors with a commitment to the economic development of the Region and Ontario generally, and to the entrepreneurial spirit of their communities. We are committed to providing quality investment support and coaching to qualifying companies, thereby ensuring they have the best opportunity for growth and expansion in their industry. Visit their website at http://www.yorkangels.com.